On Tuesday, April 9, Israeli citizens will head to the polls to vote in what has become an extremely close race between Netanyahu’s right-wing bloc and the centrist bloc of Benny Gantz, an emerging politician and former general of the Israeli Defense Forces. Netanyahu seeks to become Israel’s longest-serving Prime Minister, while Gantz has rallied those tired of Netanyahu’s rule and concerned about the charges of corruption charges leveled against him. Israel’s parliament, the Knesset, is made up of 120 seats. In order to govern, a ruling coalition must secure 61 seats. Furthermore, a political party must secure 3.25 percent of the vote to pass the electoral threshold and win a seat. Seats are proportionally distributed among the parties that surpassed the threshold. Each party or bloc draws up a list of candidates in order of priority; those at the top of the list are guaranteed seats in the Knesset before those at the bottom. Thus, voters are not basing their choices on individual candidates but on parties and the public figures of those parties. The Likud party, led by Prime Minister Netanyahu (pictured), is the largest party of the current ruling coalition. It is a right-wing party, and thus has allied with several smaller right-wing parties for the election. Jewish Power and Jewish Home have both joined the right-wing bloc; Jewish power merged into Jewish Home, a more mainstream party, in order to guarantee itself seats in Parliament. Both parties have stirred up controversy over the alleged racism of its members. Jewish Power portrays itself as the successor to the Kahanist movement, which was founded by Rabbi Kahane and also designated a terrorist organization by the U.S. Kahane advocated for a Jewish theocracy, the forced removal of Palestinians to neighboring Arab countries, and a ban on marriages between Israeli Jews and Arabs. The Jewish Power platform echoes these ideas in calling for the forced removal of Palestinians, the annexation of the Palestinian territories, and seizing control of Temple Mount. The Israeli Supreme Court even barred a Jewish Power leader, Michael Ben-Ari, from running in the upcoming elections because of his anti-Arab views. However, it upheld the candidacy of the prominent Jewish Power member Itamar Ben-Gvir, who has also been accused of racism. The Blue and White party is the challenger to Netanyahu’s coalition. It is made up of an alliance of Benny Gantz’s (pictured) Israel Resilience party and Yair Lapid’s Yesh Atid party, as well as a few smaller parties. It is a centrist coalition and has soared to prominence under Gantz’s leadership. 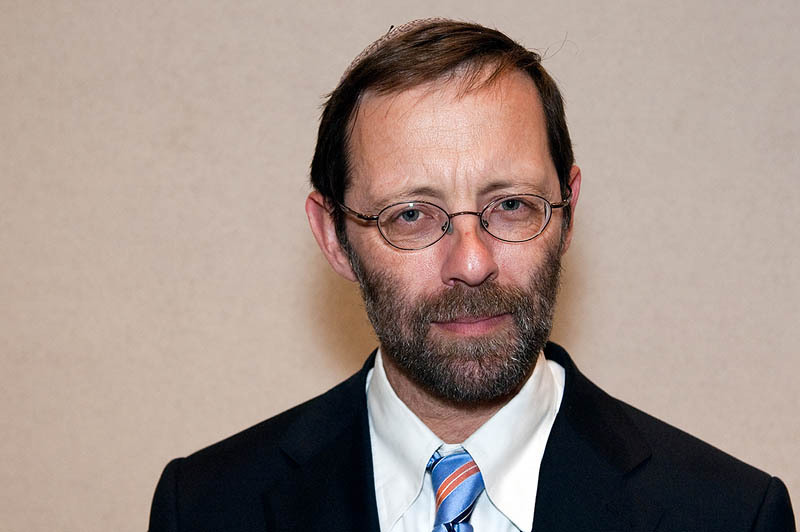 The Zehut party is an ultra-nationalist and libertarian party led by Moshe Feiglin (pictured). It has attracted attention, particularly among the youth of Israel, due to its call for the legalization of marijuana. However, its platform also calls for a one-state solution—a Jewish state only—as well as libertarian economic policies like the privatization of hospitals. Feiglin has announced that he will join the coalition of whichever party gives him the better deal, making the Zehut party, however small, a key swing player in the post-election politics. The Israeli-Palestinian issue has not played a significant role in the platforms of the leading parties. Though Netanyahu announced that he would consider annexing Israeli settlements in the West Bank in an effort to appeal to far-right voters, most Israeli parties have accepted the status quo. Gantz has not discussed the two-state solution, and has only referred to a “separation” of the Palestinians. Though he opposes the annexation of settlements, he supports maintaining the settlement blocs. Support for the two-state solution among Israelis is at its lowest point in 20 years. Instead, the election has transformed into what is essentially a referendum on Netanyahu. Gantz and the Blue and White bloc have capitalized on fatigue among some Israeli citizens with Netanyahu’s rule and on the charges of corruption levelled against him. The Israeli Attorney General announced that he intends to indict Netanyahu for bribery, fraud, and breach of trust, though an indictment will become official only after a pre-indictment hearing. The Attorney General agreed to push the hearing until after the elections, and even if indicted, Netanyahu will not have to step down from office unless he is convicted, a process which may take years. These charges stem from three separate corruption investigations against Netanyahu. Netanyahu is accused of attempting to give a tax break to businessmen who gave Netanyahu gifts, of negotiating with a newspaper for more favorable coverage in exchange for limiting the circulation of that newspaper’s primary rival, and of advancing regulatory benefits for the telecommunications company Bezeq in exchange for favorable news coverage from the newspaper owned by one of Bezeq’s primary shareholders. Netanyahu has denounced the charges as a left-wing conspiracy and fabrication. The last polls were conducted on April 5. Though estimates vary slightly between polling organizations, Blue and White and Likud are neck-and-neck, with Blue and White occasionally polling a few seats higher. However, the latest polls have demonstrated an increase in support for far-right parties allied with Netanyahu, indicating that Netanyahu may have a better chance at forming a governing coalition. Zehut is estimated to gain from four to seven seats, which would make it a key player in impending negotiations. Regardless of the outcome, this election has marked not only the greatest challenge that Netanyahu has faced in his time in office, but also the greatest rightward shift in Israeli politics.